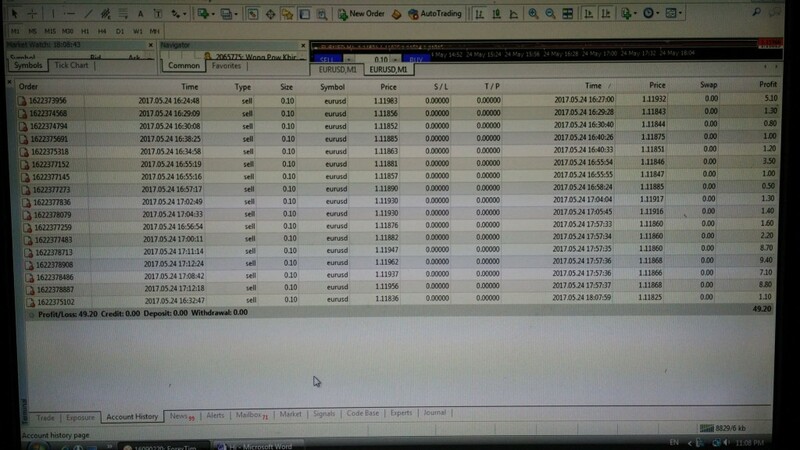 Below picture is my personal trade in one of the afternoon. Make USD 49.20 (Account Size : USD1000) within 1 hour using scalping method. This method only available in Advance Course. I hope position trader can move to scalping trading method because scalping do not carry overnight trade and the risk is very low. So you can sleep at night peacefully.